Lowest price out there! Clearing out to make room for spring stock. Live it up and let it fly in the XT23—built to bring stoke everywhere it goes, whatever it tows. This is the all-new crossover MasterCraft for a lifestyle that knows no limits. Fill it with friends and bring your wakeboards, surfboards, skis and whatever else you please. The XT23 is where the classic traditional bow meets progressive new 2017 style lines, wrapped around a completely redesigned hull. Make waves with Gen 2 Surf System and a substantial 2600 pounds of ballast, then pull it all using the next generation of Ilmor engines. Always standard with industry-leading quality and warranty for peace of mind. Load up your loved ones and lock in the good times; the XT23 takes summer to the next level. GEN 2 SURF SYSTEM W/SIDE TO SIDE SWITHCING, ATTITUDE PLATE + ADDITIONAL SURF BAGS. This sale will include the custom optional tandem axle XT 23 trailer. Thank you for visiting New England WaterSports online! Convertible rear center seat (back facing), sun pad flip seats, mooring cover, Bimini cover (navy), matching 2018 tandem axle XT23 trailer included in sale. 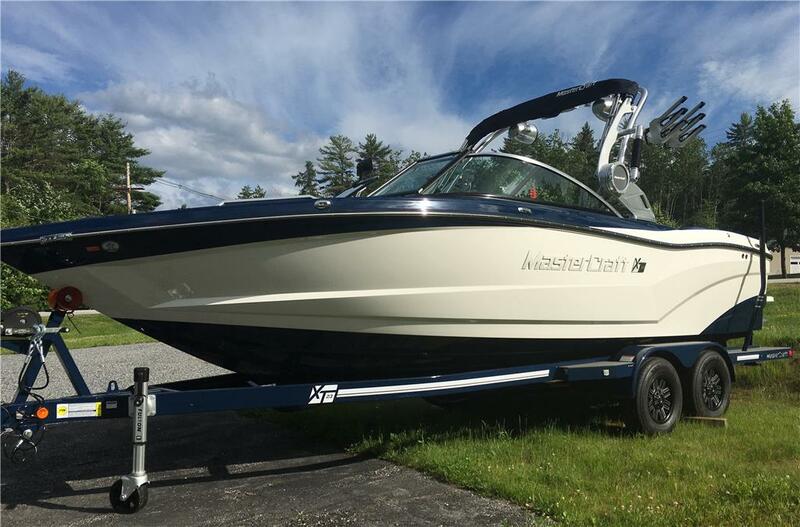 I am interested in your 2018 MasterCraft XT23 - GEN 2 Surf + DockStar -LOWEST PRICE and would like more information. Please let me know. Thank you!